Cozy rooms & beds, that you always wanted. 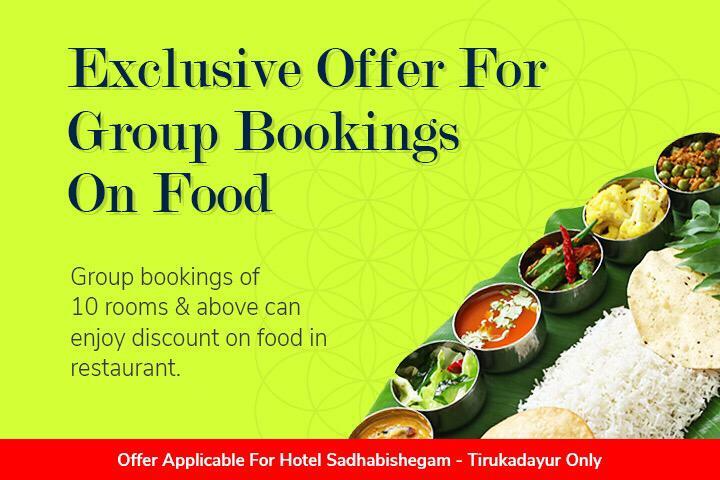 Come experience hospitality at its best at Sadhabishegam Hotels ! 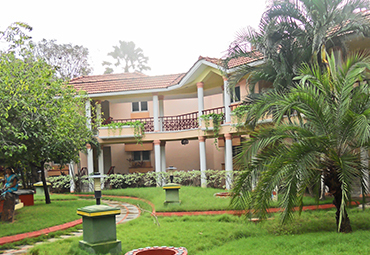 Hotel Sadhabishegam is a known name for quality and comfort among pilgrims in southern Tamil Nadu. Our first venture was started at Thirukadaiyur in 1995 with the blessings of Sri-La –Sri Shanmuga Desiga Gnanasambanda Paramacharya Swamigal. Hotel Sadhabishegam Vaitheeswarankoil is a follow-up venture started in 1999, which has all modern amenities and comforts. Ramalinga Vilas, Village Resort in Manakudi is our recent venture in 2016 and was made give an experience like a village. With individual villas located midst a village, it’s a perfect place to relax. All our hotels are located close to Navagraha temples offering a perfect accommodation to pilgrimage and tourists to create their holidays into a memorable event. The hotels are very close to bus-stand, railway station, and temple in their cities. With spacious rooms and excellent facilities along with parks and walkways, our hotels make a complete package for unwinding during your stay with us. The serene ambiance that we offer makes it one of the most memorable experiences for you. In addition to a comfortable stay and tasty food, our hotels also arrange temple tours. With kids play area, in-room telephone, hot water, room service, spacious car parking, driver waiting room, and washroom it makes it the choicest place for any family traveling to this side of the state. 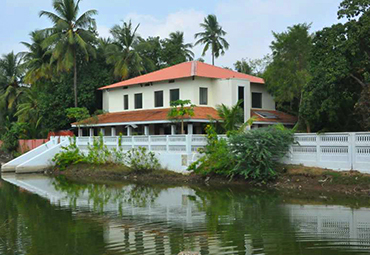 Hotel Sadhabishegam, Vaitheeswarankoil, is a grandiose hotel. It is not only a brilliant stay for pilgrims but also for tourists from all over the world. If you are a nature lover, this is definitely where you need to be. In the midst of the mesmerizing greens, our hotel stands tall. Each room is classy and beautiful. Comfortable stay in this spacious A/c 3 bedroom ground floor room neat and tidy room with clean bathroom stayed overnight for a ceremony of a relative. Service was prompt and restaurant has nice food from 7 am, it is too Worth the money spent for this stay. Firstly, the rooms are neat and clean and spacious. The ambiance is really decent and after having a darshan(mainly you go to Vaitheeswaran Koil only), you sit in their well-manicured gardens and have a chat and retire for the day. The atmosphere was pleasant and the staff was pretty courteous too. Very nice hotel at Vaitheeswaran Koil. Rooms were clean and the check-in process was smooth. The restaurant had good food and the play area is well equipped to entertain children. Good amount of parking space is available. Walking distance from the temple.